Redemption stories are often fascinating, but few have the plot of Reginald Dwayne Betts’ life. The Warren Wilson College graduate is an ex-con who is now practicing law as a member of the Connecticut bar. It’s a tale he plans to explore when he delivers the College’s 2017-18 commencement address next May. It does not take long to understand what Betts means. He was 16 when he was arrested for carjacking. Nine years in prison gave him a distinct perspective on the world. And receiving a copy of Dudley Randall’s “The Black Poets” helped him channel his thoughts through poetry. Upon his release, Betts started using his life experiences to help others. In 2006, The Washington Post featured him and his book club for young black males, YoungMenRead. Betts also started working with the Campaign for Youth Justice as a representative. At the same time, he was working toward his undergraduate degree. Before graduating, he was accepted to and started earning his MFA at Warren Wilson College. “Getting the MFA was about the long game and not thinking about it as a means to an end. The degree was about being able to work with [Warren Wilson College MFA Program for Writers founder] Ellen [Bryant Voigt], being able to work with [poet] Reginald Gibbons and being able to work with [poet] Martha Rhodes, and building the relationships I did with my classmates. That’s what the Warren Wilson College degree was about,” Betts said. As a graduate student, Betts received the MFA Program for Writers’ prestigious Holden Scholarship. Named for former Warren Wilson College President Reuben “Ben” Holden, the Holden Scholarship covers full tuition and fees for a student of color earning an MFA degree. Since its inception in 1995, 18 have been awarded. While the scholarship connects Betts to the College’s revered former president, he has another link. In 2011, the MFA Program gave Betts the gift of Holden’s doctoral hood from Yale University. Holden was a Yale executive before becoming Warren Wilson College’s second president. Warren Wilson College President Lynn Morton said she selected Betts because he is the embodiment of the school’s values. And Betts has a lot of material to pull from for this speech. He is the author of two acclaimed poetry collections – “Bastards of the Reagan Era” and “Shahid Reads His Own Palm.” He won the 2010 NAACP Image Award for Outstanding Literary Work – Debut Author for his book, “A Question of Freedom: A Memoir of Learning, Survival, and Coming of Age in Prison.” In addition to being a Holden Scholar at Warren Wilson College, Betts has received a Soros Justice Fellowship, a Radcliffe Fellowship and a Ruth Lilly Fellowship. Since leaving prison in 2005, Betts’ story has been told by nearly every major news organization in the country. After receiving his B.A. from the University of Maryland and his MFA, he earned a law degree from Yale and was accepted to the Connecticut bar in September. The Warren Wilson College grad is now working on a Ph.D. in law at Yale. Despite his success, he says notoriety and having an impact are two different things. “I think people get invited to speak at commencement because they have something to say about how they became who they are in the world. I’ve realized that part of what I will say is that part of being in the world is to realize that you’re always becoming. And you have to be mindful about the decisions you make that influence what you are becoming,” Betts explained. Debra Allbery, the director of the MFA Program for Writers at Warren Wilson College, expects Betts’ commencement address will be a lot like his poetry. “I think anyone who listens to him will appreciate his deep integrity, his forthrightness, and his respect for the power of language,” she said. Warren Wilson College’s Commencement Ceremony is May 19, 2018. For more information, visit https://warren-wilson.edu/about/events/commencement. 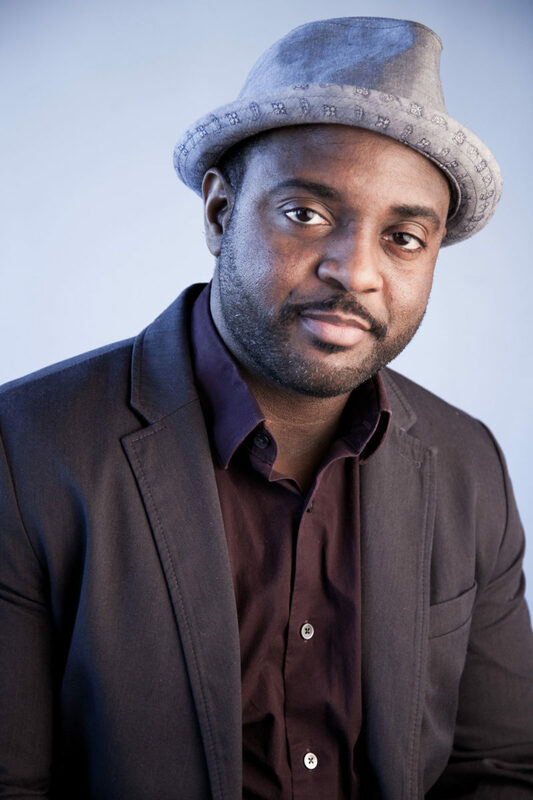 To learn more about Reginald Dwayne Betts, please visit http://prhspeakers.com.